The fall movie season is finally here, which means dozens of interesting and unique films are going to be hitting theaters the next few months. 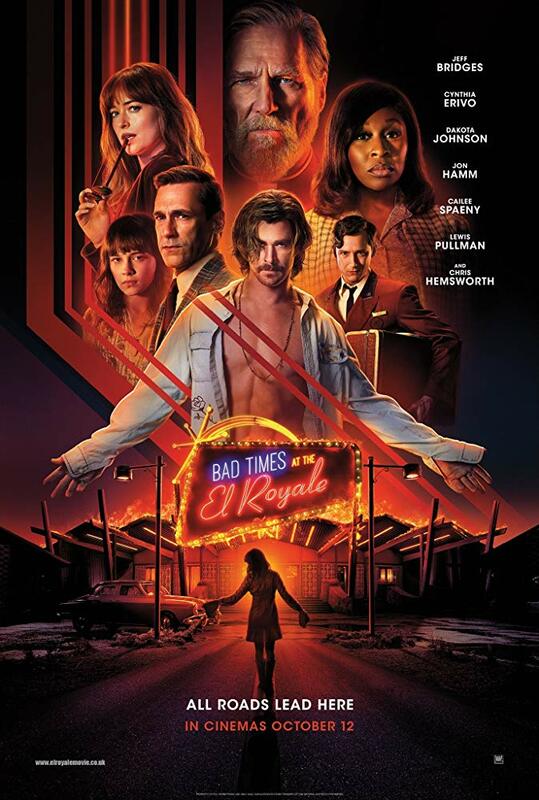 While we have our blockbusters and comic book movies, one of the films I’m looking forward to the most is Bad Times at the El Royale. Directed by acclaimed writer/director Drew Goddard, the film is set at a hotel that sits directly on state lines between California and Nevada. But while it’s fun and games to begin with picking which state you want to stay in, the story quickly unravels as the guests, all of the guests, aren’t who they say they are. This film looks like it could be the most thrilling story to hit theaters this fall. Goddard, who is still shockingly a very unknown name the everyday audience, is responsible for some an incredible work over the last decade. With the majority of his credits being in the screenplay department, the few times that Goddard has stepped behind the camera has been phenomenal, with Bad Times looking like his next greatest hit. The cast to this film is absolutely ridiculous. The veteran talent that’s combined with the up-and-coming is just perfect. Not only that, but each actor is immensely different from one another, which will no doubt create some dynamic scenes on screen. Don’t believe me? The following featurette has each cast member expressing their excitement, from when they first read the script to seeing the El Royale itself coming to life. And don’t worry, it doesn’t drop any new footage or reveal any kind of new details for a story that’s all about secrets. Check out the new featurette below, and leave your thoughts in the comments! Are you just as excited as I am? What about it has you interesting or thinking pass? Do you like Goddard’s previous work? Starring Starring Chris Hemsworth, Jon Hamm, Jeff Bridges, Dakota Johnson, Cynthia Erivo, Cailee Spaeny, Nick Offerman and Lewis Pullman, Goddard’s Bad Times at the El Royale opens everywhere on October 5th. New ‘Bumblebee’ Trailer Is the Best ‘Transformers’ Trailer You’ve Ever Seen!